Successfully added The Encyclopedia on Saivam in tamil To Cart. The first volume titled Saivism in Tamilnadu contains all the information on the 2750 year long journey of Saivism spread over 900 pages. Around 5100 categories of information have found their way into the volume, which is the culmination of the work of 50 scholars for over six years. The third volume contains detailed and subtle information on the 12 compilation of hymns sung by 27 saints which are considered as saivite scriptures. The fourth volume contains researched information on the 476 centres of pilgrimage glorified by the Saivite hymns. The volume will no doubt be a lamp of guidance for those who aspire to visit these shrines. Information under 24 headings have been provided regarding each of these shrines. 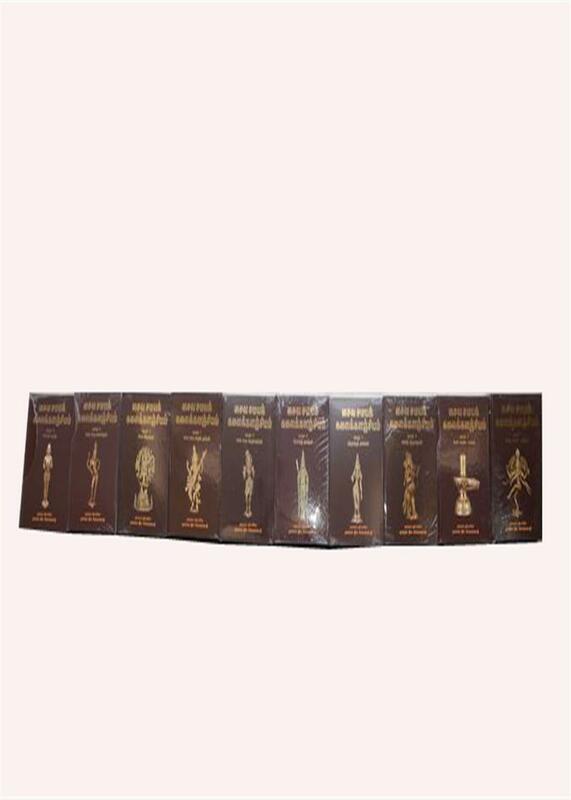 Great efforts have gone into the making of the fifth volume which contains information on the 2500 Saivite shrines, 1500 temples dedicated to Lord Karthikeya, 108 Siva Sakti shrines, exclusive dieties, temples dedicated to Lord Vinayaka, and places of worship dedicated to 999 rural dieties after the 9th century. The sixth volume contains the detailed history of 710 Saivite saints, beginning with Agathiar to the contemporary. One will no doubt be touched by the history of such saints which has the potential for creating ten more Periyapuranams. Moreover the appendix contains the compiled information on the memorials of 300 other saints, of the Saivite tradition. The seventh volume on Saivite literature is the first documentation of 10000 works authored by 2615 Saivite writers. The appendix includes a compilation of 2250 hymns from 45 Saivite works. Moreover 220 hymns and the respective detailed explanations have been graphically featured in this volume. The Eighth volume focusses on Saiva Siddhantha as enunciated by Meikandar on the lines of Sankara's Advaita, Ramanuja's Visistadvaita and Madhwa's Dvaita. 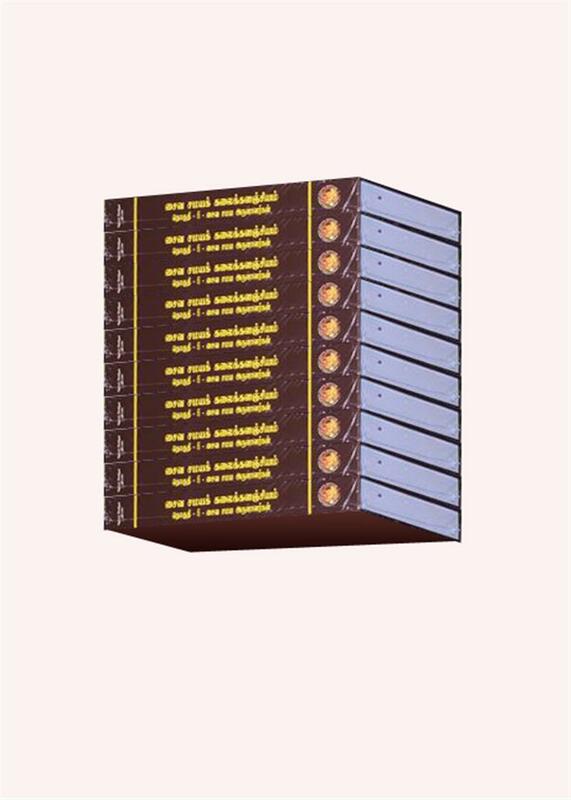 This volume contains the maiden documentation of Saiva Siddhantha, eulogised by Swami Vivekananda as world's most genuine philosophical school of thought which could be subjected to deep research and learning. The volume contains the research extracts of 100 Saivite scholars, 150 intellectuals, 700 works, and 300 commentaries. The appendix includes a glossary of rare words, and explanatory photographs. The ninth volume contains 940 pieces of information on the phenomenal growth of Saivism in Tamil Nadu since the later part of the 15 century. This volume contains details of the Saivite Mutts, 220 organisations set up with the objective of fostering Saivism, the 225 singers who excelled in the rendition of saivite hymns, magazines on Saivism, patrons and their families, 400 spiritual masters and innumerable servitors. This volume is an introduction to around 50000 kinds of information on Saivism, in an alphabetical order. The volume has been designed to enable the reader to identify and retrieve any information, in any volume, in the concerned page. This volume also contains felicitatory articles and notes of thanks giving to those who contributed to the compilation.